Hey everyone! Kate Hart's internet is down thanks to the storm (don't worry, Kate and her family are fine! That superhero cape she wears works a charm) so I'm jumping in to get you your news of the week! John Green writes a defense of the success of his novel, The Fault in Our Stars. Reactions to the post are mixed. Green addresses some of the issues in a follow-up post, while Jennifer Lyn Barnes examines the posts and strategies that have led to TFIOS' success. Planning your first public reading? How do you choose which passages to read??? Dr. Bird has some advice on picking out the perfect scene of your novel. Whether you're an outliner or pantser, or write by hand or by machine, these handwritten outlines by well-known authors are fascinating to see. Need a name for your character? Check out these up and comers. On Reddit? Join the /r/YAwriters' subforum! What do Authors Owe You? Barry Lyga tells a story about his friend (really, not him) and analyzes the relationship between readers and writers in an age of social media. Check out The Bookanista's new look and get to know the readerly ladies recommending their favorite YA and MG novels. 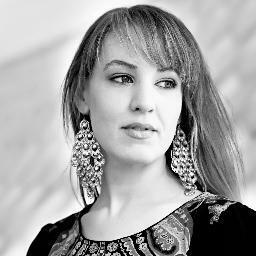 Multi-pubbed author Sarah Ockler gets up close and personal with the Barnes and Noble/Simon & Schuster thing when B&N doesn't order in her book. However, she has ideas for ways readers can help support the book anyway. The Penguin Book Truck is bringing books to a location near you this summer! (Maybe.) Check with the Book Truck's map to see where they'll be next. Can I get a ChocoTaco with that novel? Wait, Holly Golightly was HOW OLD? These ten famous literary characters are younger than you think. Just when you thought you had a handle on the two ways to publish--traditional and self-pub--Jane Friedman breaks it down even further. Five Book Publishing Paths. With an infographic! We love infographics. Yummy. Feel like you're the only one not finishing your novel/getting an agent/selling big? How to cope with the sadness we feel when our friends succeed using Erfolgtraurigkeit. Selling strategies: how one-day deals are making brief bestsellers of books. See also, Flash sales. Blue Light Specials. Etc. Publishers Weekly analyzes all the ways authors and publishers are reaching readers through social media. Will and Jaden Smith sit down to talk about coming up with the story for the soon-to-be-released film, After Earth; family dynamics on set; and whether or not Jaden should have become a dentist. Maybe this should go under Writing Stuff, since she keeps 10 journals at a time . . . Emma Watson talks about her movies and "being worth it." Superhero movies, sexism, and those tired damsel in distress tropes. LL Word is taking a break from them. The great thing about fanfic? You can make the characters do Whatever You Want. Donate $10 to the Red Cross fund for Oklahoma disaster relief and get a chance to win some HUGE book bundles and critique prizes from The Lucky 13s. Also, makes your heart grow three sizes. You know they're doing it when you're not looking. Cats taking selfies. Filed under: People I Like (along with the Zombie Engagement folks). Best Wedding Photo Ever. Prancersize. Learn it. That is all. You are my hero. 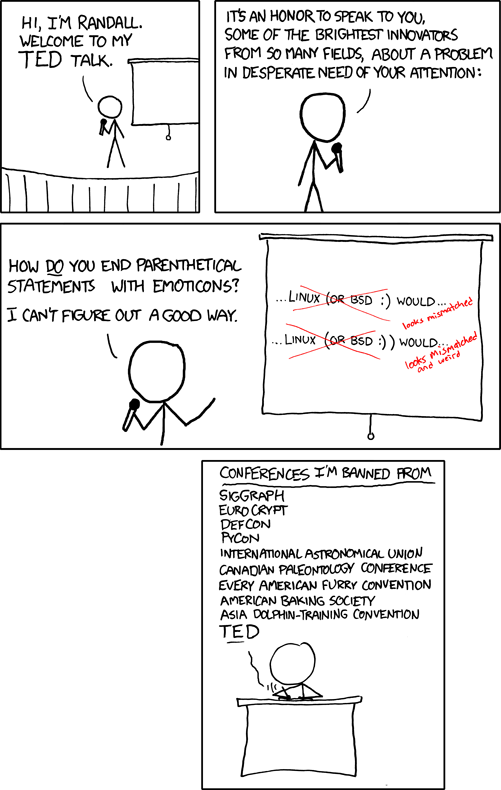 The comic about parenthetic statements and emoticons made le laugh out loud -- literally. I can't tell you how many times I've either rewritten sentences or ended with :-D instead of :-) to avoid the confusing/double-chinned look of :-)). Haha! That's exactly what I do. My parenthetical smiles become grins. It's the only way to deal . . .
Kate, sorry to hear about the storm, but it's good to hear you're OK.
Kristin, thanks for covering for Kate. Interesting discussion on John Green's success.